Autodesk Inc has completed the acquisition of Firehole Technologies, a privately-held company that specialises in design and analysis software for composite materials. Autodesk, headquartered in San Rafael, California, USA, is a supplier of 3D design, engineering and entertainment software to the manufacturing, architecture, construction and entertainment industries. Through the acquisition of Firehole Composites, based in Laramie, Wyoming, it expands its expertise in the area of lightweight, more energy efficient materials. “The Firehole team will add significant expertise in next generation materials and non-linear analysis, as well as industry-leading technologies that strongly complement our solutions for structural, thermal and plastics analysis,” says Buzz Kross, senior vice president for Design, Lifecycle and Simulation products, Autodesk. “As manufacturers move to more complex material such as lightweight composites, new simulation technology is required to predict and optimise the performance of these materials. 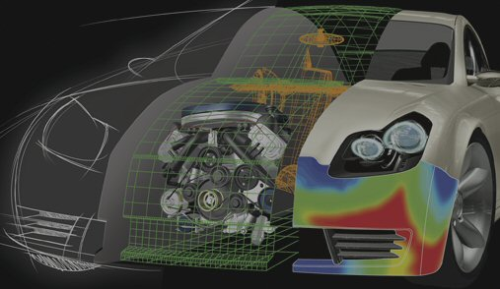 This acquisition will enable Autodesk to deliver this technology to a broad spectrum of design and engineering industries.” Autodesk intends to sell and support the existing Firehole Composites product line, which includes Helius:MCT and Helius:CompositePro, while enhancing the technology for closer integration with Autodesk solutions. The terms of the transaction have not been disclosed.